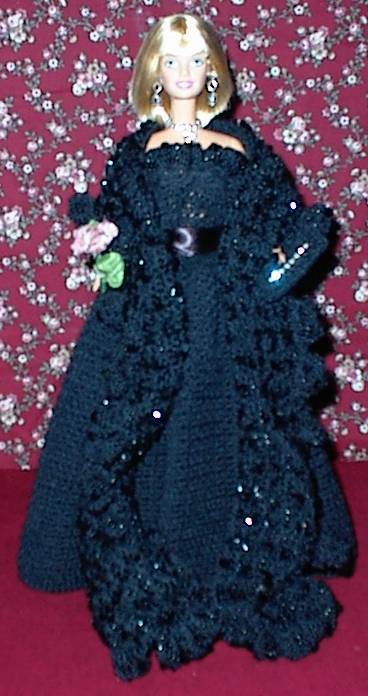 Comes with gown, purse, wrap, doll and doll stand. 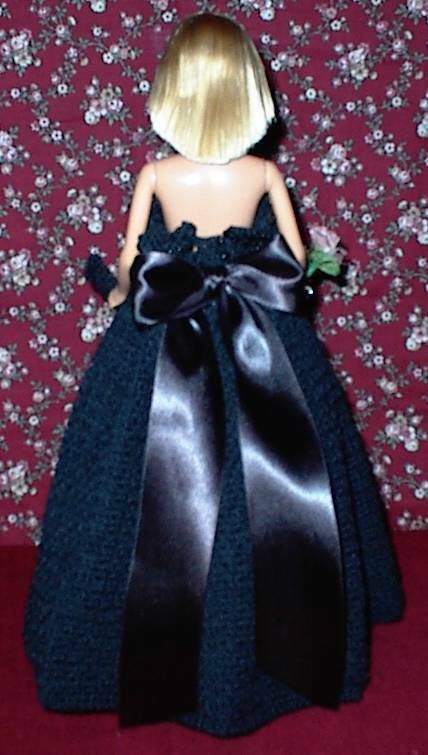 Done in black, this gown has beads at the neckline, and a bow on the back. The wrap is beaded and sequined. In her hand she carries a single rose. Beautiful gown and wrap!